Tofu. Do you love it or hate it? I like it, but only if it’s deep fried. Um, if it’s fried who wouldn’t love it I suppose? Of course, I pick the most unhealthy way to love it, until now. Guess what? I’ve found a tofu recipe that I can’t get enough of and they are not deep fried! Interested? 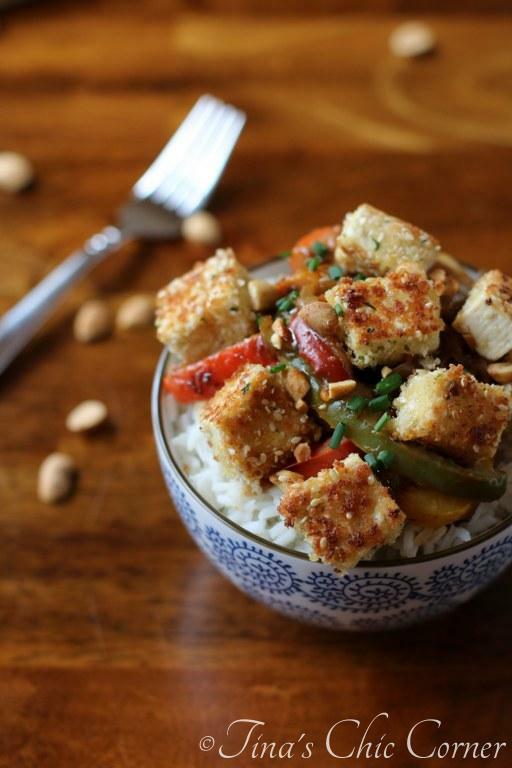 These sesame crusted tofu cubes are paired with peppers and onions and coated in a spicy peanut sauce. Place the bowl in the microwave for 15 seconds to warm it up a little. Stir the ingredients to combine. 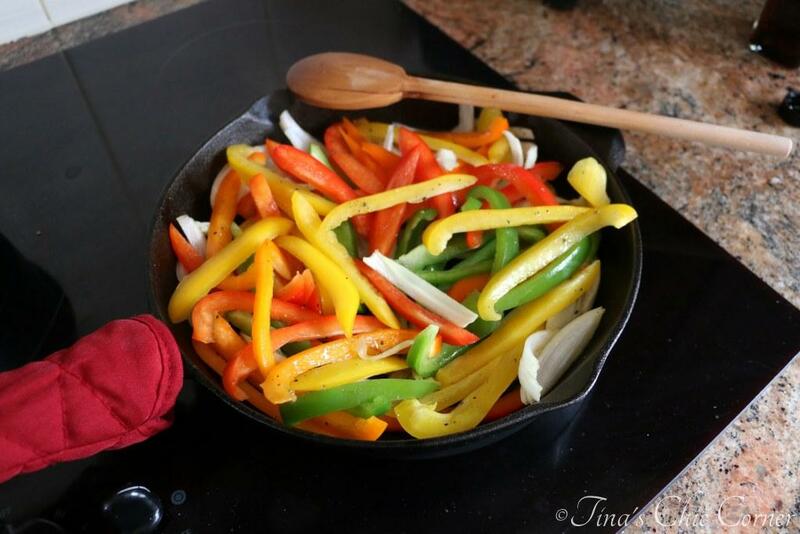 In a medium skillet, on Medium heat, heat the oil. Add in the sliced onions and peppers. Season with salt and pepper. Cook until tender and slightly browned, stirring occasionally. Turn the heat down to Low and stir in the spicy peanut sauce. Leave the vegetables on Low heat while you finish the tofu. Slice the tofu into half inch slices. On a cooling rack, place a layer of paper towels. In a single layer, place the slices of tofu on top of the paper towel. Then place a layer of paper towels on top of the tofu. Put something heavy on top of the paper towels. (I used a couple of plates.) When the paper towels are damp, switch them out for dry ones. Repeat until you’ve removed most of the moisture from the tofu. In bowl #1, whisk the egg. In bowl #2, combine the panko bread crumbs and sesame seeds. Dip the tofu cubes into the egg bowl. 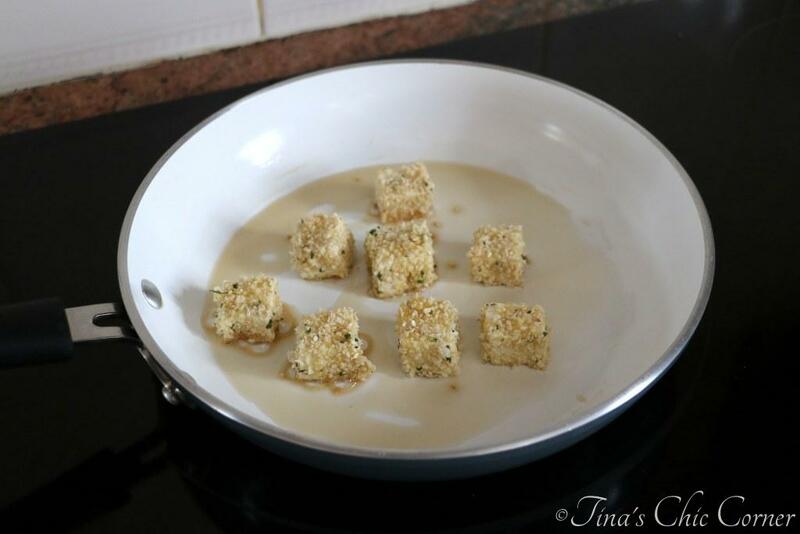 Then dip the tofu cubes into the panko mixture bowl. Place the tofu cubes into the hot skillet and cook until they are golden brown. Make sure to arrange the tofu cubes in a single layer and to leave room in the pan for flipping them over on to each side. I cooked between 5 and 10 at a time. Transfer the cooked tofu cubes onto a paper towel. Plate with a layer of rice, then a layer of pepper and onions in the spicy peanut sauce, then a layer of sesame crusted tofu. Sprinkle chopped chives and peanuts on top. I love working with colorful veggies that don’t cost an arm and a leg. Thank you, Spring! I love tofu crunchy on the outside and tender on the inside and that’s exactly what you get here. The panko crumbs and sesame seeds toast up nicely which is sort of a cheater’s way to get tofu crunchy on the outside. Now that we’ve got our crunchy sesame crusted tofu, we need some real flavor for the dish. You know, because I personally think tofu doesn’t have any flavor on its own. (My husband, a tofu aficionado, points out that tofu tastes exactly like tofu and not like nothing at all.) How about some peanut sauce? Even better, how about some SPICY peanut sauce?! This sauce is amazing. It’s an awesome combo of peanut butter, ginger, and spiciness. My husband says the sauce sort of tastes like a Pad Thai sauce. Most kinds of veggies would be a great companion to this spicy peanut sauce, but I used peppers and onions today. I love the colors because they make this like a festive delicious rainbow but I could totally see this dish being made into a real Pad Thai with just a little scrambled egg and bean sprouts instead. Here are some other lovely entree options. Thanks Sarah! I have some leftovers waiting for me for a quick re-heat dinner tonight and I can’t wait. 🙂 Have a lovely Monday! I love tofu in most ways – baked, grilled, sauteed, fried, etc., so this recipe looks incredible! I’m a crowd of one in my family when it comes to enjoying tofu, but I think this could be the dish that changes their minds! Crispy and crunchy, in a spicy peanut sauce. Delish! That would be awesome if this recipe converts your family! Come and make this for me. Please. It looks beyond delicious, especially the crispy tofu! I’ve always wanted to try tofu but I’ve never seen a recipe that made me go “yes, this is the one!” I’ve found it now and can’t wait to try. Gorgeous photos, too! This sounds really amazing! Loving that spicy peanut sauce!!! I’m seeing this for dinner in my very near future!!! I LOVE tofu. But yes, especially when it’s fried lol. However, I won’t turn down anything smothered in peanut sauce. This looks pretty fabulous. The spicy peanut sauce looks amazing! I’ve never had tofu before, but I can imagine this sauce would go amazing on chicken too! I’m so happy that I have all of the ingredients to make this! It looks so delicious! I’m definitely pinning this and will give it a try! Oh, yum! This looks so awesome! I really love tofu (fried or not! 😀 ), and totally adore peanut sauces – this is totally my kinda meal! Pinning ASAP! 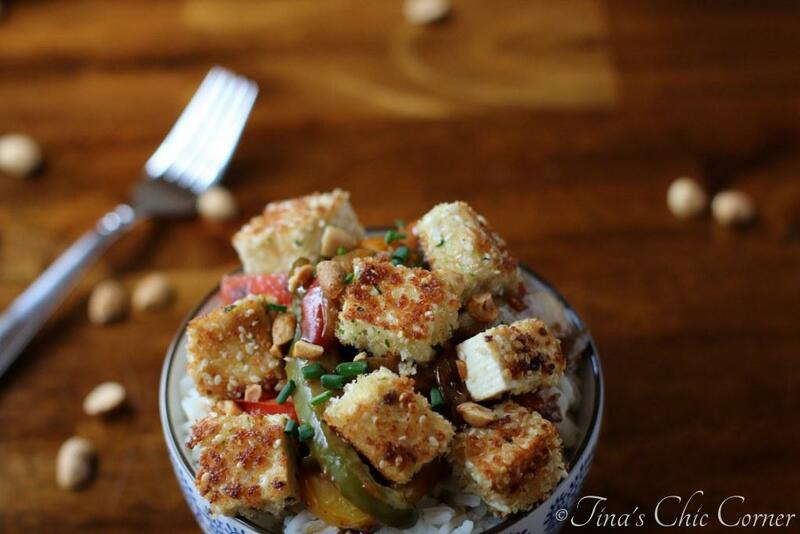 Tina, I am in love with tofu and I most certainly am in love with peanut sauces, so you have a real winner recipe here. Of course, I won’t complain if it’s fried tofu in particular…definitely inspired to finally cook up some tofu soon. Glad I popped on by to see this! I love, love, love spicy peanut sauce, and this sesame crusted tofu sounds fabulous! I bet it gives a great nutty flavor and crunch. 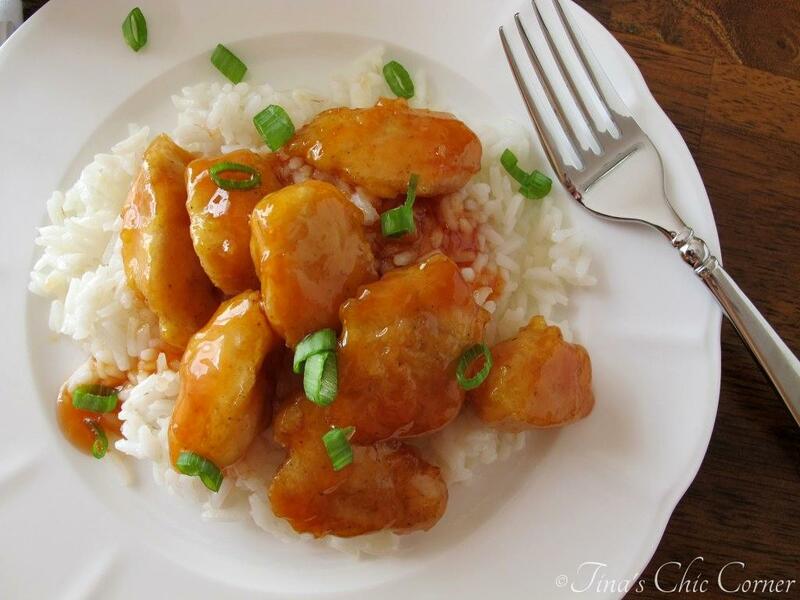 Thanks for the great recipe; pinning! Do you deliver ? 🙂 Love tofu as long as someone else prepares it. The spicy peanut sauce sounds divine. Wow, that tofu looks amazing! We haven’t had it in years because it always ended up soggy and depressing, but this one looks perfectly light and crispy. YUM! I just love peanut sauce. I can dip just about anything into it and be happy. I love tofu and haven’t had much lately, so thanks for a new idea 😀 Looks delicious and I love those beautiful colors. Tina, I have to admit I’m not normally a tofu-lover, but I actually think I would enjoy it this way, especially with that beautiful-sounding peanut sauce. I guess the tofu could be substituted for something else really easily if it was too much of an issue. I definitely think chicken would be a great substitute here. I know tofu isn’t for everyone. Plus, I’m very picky about it when I do eat it. Ewh… I hate it, I hate it so much. Even when its been deep fried and doesnt taste like tofu anymore, I still hate it. 🙂 I havent tried it with peanut sauce tho, perhaps that might be the winning combo?! I think tofu is one of those “I hate” or “I love” foods. Although I guess I’m somewhere in the middle since I’ll eat it but only if it’s prepared just right (I know, I’m weird). 😉 This peanut sauce rocks and I think it would definitely work with chicken, if that’s something more to your liking. I love tofu and I especially love it when it is nice and crispy! Yours looks amazing and I will definitely be coating my tofu in sesame seeds next time I make it! 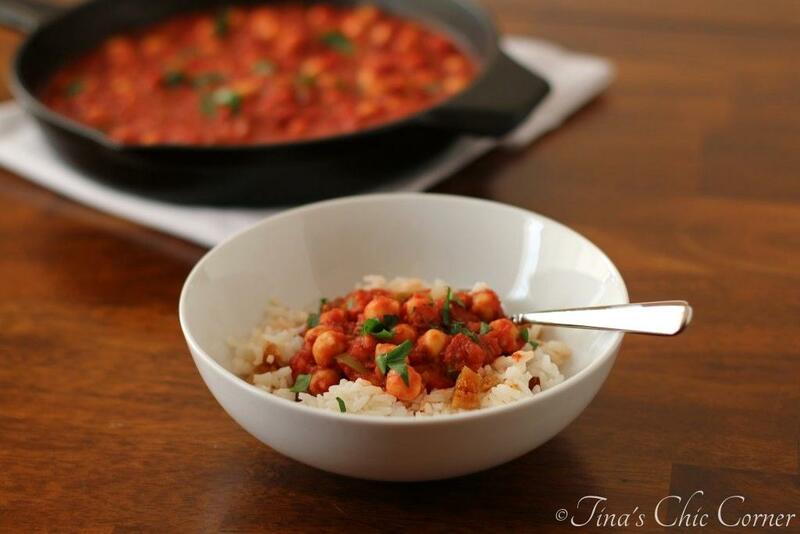 So perfect for a stir fry and I also love your peanut sauce recipe!